offers about 175 music tracks that you can download for free. Those tracks are arranged in eight categories. Those categories are acoustic/folk, cinematic, corporate/pop, electronica, urban/groove, jazz, rock, and world. You can listen to the tracks before you download them. A good place to find music for use in classroom projects like videos and podcasts. The music that you will find on Dig CC Mixter is Creative Commons licensed. Nearly all of the sounds on Sound Bible are either public domain or labeled with a Creative Commons license. On Sound Bible you will find sounds for use in blog posts, podcasts, videos, slideshows, or other multimedia creations. Byrne, Richard. "https://www.freetech4teachers.com/2018/11/five-places-to-find-free-music-and.html." Free Tech 4 Teachers, Richard Byrne, 5 Nov. 2018, www.freetech4teachers.com/2018/11/five-places-to-find-free-music-and.html. Accessed 13 Nov. 2018. This online encyclopædia has portals for elementary, middle, and upper school students. Choose the one that is right for you. A comprehensive streaming video subscription service for high schools, featuring unlimited access to more than 5,000 educational programs that can be viewed in class, at the library, or from home. Digital image bank that covers many time periods and cultures. Image database containing over 1 million images from art, architecture, music, world history and more. Collections are made up of contributions from museums, libraries, artists' estates, photographers, and scholars from all over the world. Registered users are able to save images as well as download them into a presentation slide format. For home access, contact the library staff. ike Wallace rose to prominence in 1956 with the New York City television interview program, Night-Beat, which soon developed into the nationally televised prime-time program, The Mike Wallace Interview. Well prepared with extensive research, Wallace asked probing questions of guests framed in tight close-ups. The result was a series of compelling and revealing interviews with some of the most interesting and important people of the day. The 1950s was a decade of unprecedented economic and population growth for the United States, The baby boom that had begun in the years immediately following World War II continued well into the decade. From 1948 to 1953 more children were born than in the previous thirty years, and in 1954 the country experienced the largest one-year population gain in history. 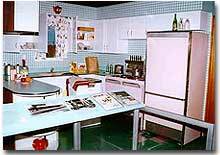 any Americans regard the 1950s as a time when most women stayed home, and men were the sole breadwinners. As this excerpt indicates, the decision for women to work was very often economically based. Women were working to purchase extra items for the children or a larger house. Women were also working to help provide financial security that the experience of the Great Depression caused them to doubt. The 1950s were the decade when consumerism established its hold on America—which it has never lost since. That consumerism was financed, in part, by women working. Mass Media: What Effect did Mass Media have on Postwar America? What impact has television had on American society? On the one hand, it may be too soon to gauge its full impact, as it has been a social force for only fifty years. On the other hand, it is difficult to think of an invention that has so completely transformed our lives and our understanding of the world. "Mass Media: What Effect did Mass Media have on Postwar America?" History in Dispute. Ed. Robert J. Allison. Vol. 2: American Social and Political Movements, 1945-2000: Pursuit of Liberty. Detroit: St. James Press, 2000. 121-128. U.S. History in Context. Web. 14 Oct. 2015. The American economy experienced a shift during the 1950s that created more income for more Americans than ever before. Though during the early 1950s the American economy was negatively affected by inflation—prices were rising, currency was losing its value, and a recession was at hand—these problems were relatively short-lived. By the mid-1950s, the nation began to enjoy the fruits of economic boom and prosperity. The robust economy gave rise to the American middle class. "Civil rights movement." Britannica School, Encyclopædia Britannica, 19 Sep. 2016. http://school.eb.com/levels/middle/article/310706. Accessed 6 Oct. 2016. The movement reached its climax on Aug. 28, 1963, in the March on Washington, a massive demonstration in Washington, D.C., to protest racial discrimination and to demonstrate support for civil rights laws then being considered in Congress. Women's Roles: Betty Friedan, McGuire, William, and Leslie Wheeler. "Betty Friedan." Pop Culture Universe: Icons, Idols, Ideas, ABC-CLIO, 2016, popculture.abc-clio.com/Search/Display/1916407. Accessed 7 Oct. 2016. Brown v. Board of Education reached the Supreme Court through the fearless efforts of lawyers, community activists, parents, and students. Their struggle to fulfill the American dream set in motion sweeping changes in American society, and redefined the nation’s ideals. On June 22, 1944, President Franklin D. Roosevelt signed the Servicemen’s Readjustment Act, better known as the G.I. Bill. Fearing the consequences of millions of veterans returning from war to scarce employment and housing opportunities, Roosevelt passed the legislation to offer unemployment compensation, home and business loans and tuition support. For many generations and many decades, the AMERICAN DREAM has promised an EGALITARIAN society and material prosperity. For many, the notion of prosperity remained just a dream. During the Eisenhower era, Americans achieved a level of prosperity they'd never known before. While other parts of the world struggled to rebuild from the devastation of World War II, citizens of the United States saw their standard of living surpass what previous generations had only dreamed about. Shmoop Editorial Team. "Economy in The 1950s." Shmoop. Shmoop University, Inc., 11 Nov. 2008. Web. 10 Oct. 2017. During the '50s, mass culture began to dominate in the United States. This accounted for much of the blandness that critics lamented. Television network executives in particular wanted to cater to the largest audience possible, so they shaped their programs to offend the least number of viewers. Shmoop Editorial Team. "Culture in The 1950s." Shmoop. Shmoop University, Inc., 11 Nov. 2008. Web. 10 Oct. 2017. 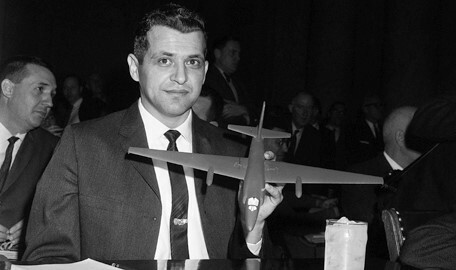 On February 10, 1962, U-2 spy plane pilot Francis Gary Powers was returned to the United States in a prisoner exchange. 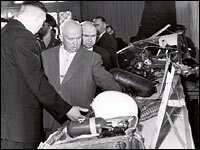 Powers had been shot down in May 1960, creating an incident that destabilized American-Soviet relations. Former CBS anchor and commentator Walter Cronkite recalls the tension of spring 1960 when an American spy plane helped to plunge East-West relations into one of the deepest chills of the Cold War. A U-2 was shot down over Russia and its pilot paraded for the world to see. It ruined a planned summit meeting. On 17 April 1961, shortly after President John F. Kennedy took office, close to fifteen hundred Central Intelligence Agency (CIA)-trained Cuban exiles landed in the Bay of Pigs, constituting the initial phase of what CIA planners hoped would be a campaign resulting in Cuban leader Fidel Castro's ouster. "Bay of Pigs Invasion." The Cold War--1945-1991. Gale, 1992. U.S. History in Context. Web. 14 Oct. 2015. We have found concrete evidence of at least eight plots involving the CIA to assassinate Fidel Castro from 1960 to 1965. Senate, U.S. "CIA Assassination Plots against Castro." The Cold War. Ed. Walter Hixson. Woodbridge, CT: Primary Source Media, 2000. American Journey. U.S. History in Context. Web. 14 Oct. 2015. Even with the intervention of U.S. troops in July, the DPRK nearly drove the enemy out of Korea. By early August forces fighting under the UN banner were squeezed into the Pusan perimeter, on the southeastern corner of the peninsula. At the end of the month DPRK forces launched an offensive that over the next two weeks inflicted more enemy casualties than in any other comparable period during the war. The 1962 Cuban Missile Crisis was a dangerous moment in the COLD WAR between the United States and the Soviet Union. The actions taken by President John F. Kennedy's administration prevented the installation of Soviet nuclear missiles in Cuba, just 90 miles from Florida. The crisis also illustrated the limitations of international law, as the United States relied on military actions and threats to accomplish its goal. uring this period there was not much improvement in relations, as little common ground could be found to begin discussions. Even worse, the 1950s witnessed the acceleration of the arms race as the superpowers introduced new delivery and weapons systems—intercontinental ballistic missiles, submarine-launched ballistic missiles, and long-range bombers—that both countries would rely upon throughout the Cold War. By the end of the decade, both countries were quickly obtaining the capability of destroying each other. With the explosion of the first Soviet hydrogen bomb in 1953 and John Foster Dulles's announcement of the new policy of massive retaliation in 1954, SAC nuclear forces acquired added importance and funding. As the United States and Soviet Union entered the nuclear arms race, it became clear that the number of nuclear warheads deployed and their means of delivery would be key determinants in nuclear power and deterrence. With Dwight D. Eisenhower's election to the presidency in 1952, the American military took on a new look. Rather than committing American forces to brushfire wars around the globe, Ike would let American allies do it, but with long-range assistance from American air forces. He would also build up American nuclear reserves while cutting military manpower, reducing draft requirements, and cutting conventional military spending. -- shall be the policy of this nation to regard any nuclear missile launched from Cuba or against any nation in the western hemisphere as an attack by the Soviet Union on the United States, requiring a full retaliatory response upon the Soviet Union. "Material Culture." Life In America Online. Infobase Publishing. Web. 4 Oct. 2016. Material life in the 1950s and early 1960s was centered on domesticity, consumerism, and the "good life." Most Americans turned their attention to home and family once the distractions of the Great Depression and World War II had ended and economic prosperity returned.